Sony Xperia C powered by Mediatek MT6589 chipset is announced . Finally Sony , an expensive & trusted brand also want to use low cost MTK6589 quad core chipset . This is a good symbol for Mediatek . Samsung has already put down its hand in the same chipset . Most of Budget Quad core smartphones in India are launched with the same chipset . Sony Xperia C will have 5inch will have 5inch QHD resolution display . 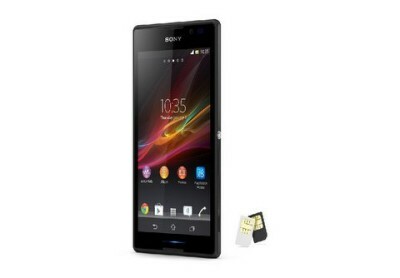 The device will have 8MP rear AF camera with EXMOR R . The Xperia C is also called Sony Xperia CN3 . The device can play and record 1080p full HD video at 30FPS . The device will also offer Dual Sim capability . The device will run on android 4.2 jelly bean OS . It will have 1GB ram and 4GB ROM ( inbuilt storage ) . It will be 8.8mm thick . The device will offer standard connectivity like 3G , wifi , Bluetooth , GPS, 2G …etc. The device is claims talktime upto 14 hours & standby time of upto 588 hours . There is no word about the battery mAH & the price of the device . Hopefully , Sony is world famous brand & if it comes with budget Quad core smartphone than it can earn lot more profit . Sony Xperia c will have to compete with Xolo Q800 , Spice Mi 515 , Spice Mi 510 , xolo Q1000 and other budget quad core devices .